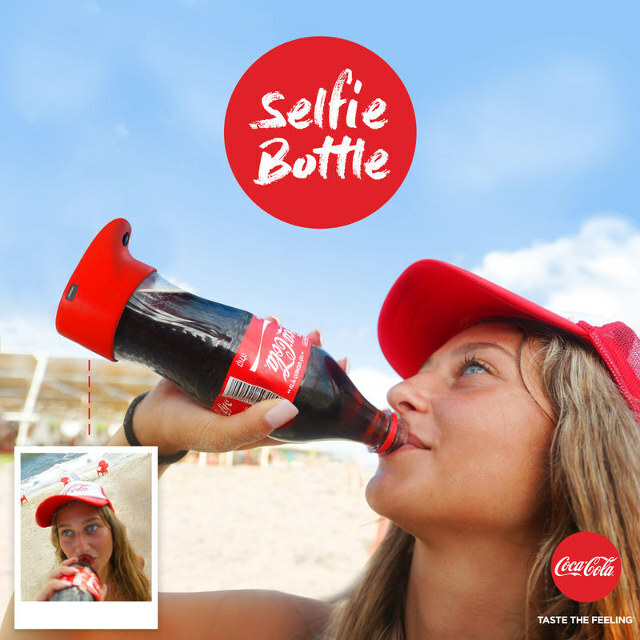 If the selfie stick wasn’t enough to satisfy your social media addiction, you can now take self-portraits using a “selfie bottle” from Coke. 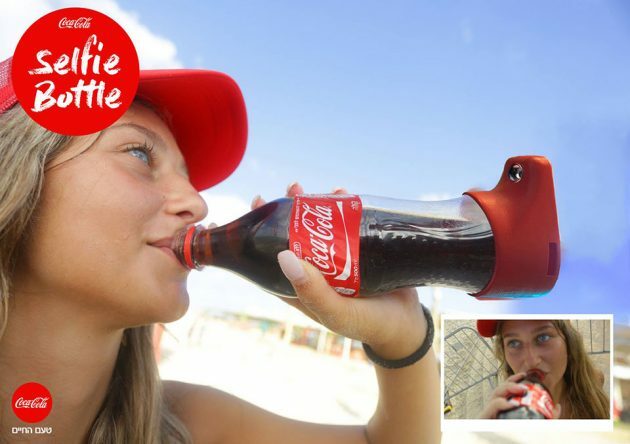 The “selfie bottle” was designed by Coca-Cola Israel after it spotted a selfie-sized hole in the soft drink market, the Drum reported. The bottle contains a built-in camera at its base and includes a sensor to detect when the bottle tilts 70 degrees during a sip, at which point the camera will snap a photo of the user mid-drink. Coca-Cola has seen their revenue dip due to failings in foreign markets and declines in soda volumes. Even better, you can share the photos of yourself enjoying a Coke on Facebook, Instagram and Snapchat. “It really does the trick and makes the partygoers more present and active during the event, knowing they can share their special moments just by drinking,” the company’s marketing agency told the Drum. It’s unclear as of yet where the bottle will be sold and how much it will cost. But perhaps Coke is headed in the right direction with this gimmick: Soda sales in general have been on the decline, falling by 1.5% in 2015 and by 1% in 2014, according to the Beverage Marketing Corporation. Americans are instead turning to bottled water, whose sales are expected to outpace those of soda next year.